The best gift for a special occasion or simply to remind someone how much we love and cherish. Roses and Flowers are the ideal language to express what we feel: color, aroma and beauty will be the perfect excuse to raise the most beautiful feelings. The simplicity of nature presented in a stylish, make that special day unforgettable. Perform minimum order 1 business day in advance. Deliveries Monday to Saturday only. 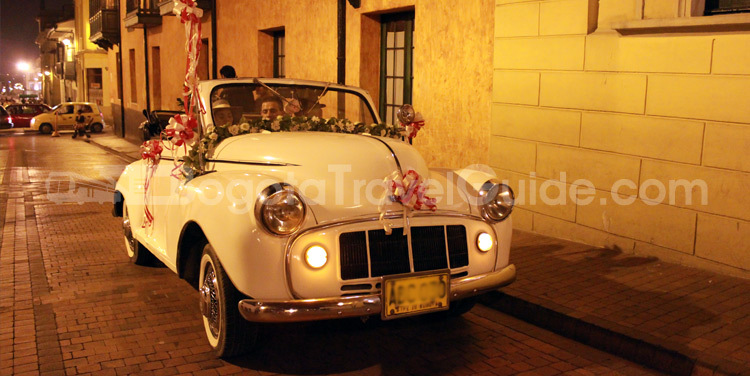 Royal Chariot Spectacular with original Equipment only in Bogota, rent for special events such as quince, weddings, anniversaries, romantic plans, photographic studios, advertising, parades, costume party, among others. The car will be specially decorated according to the event and the customer. 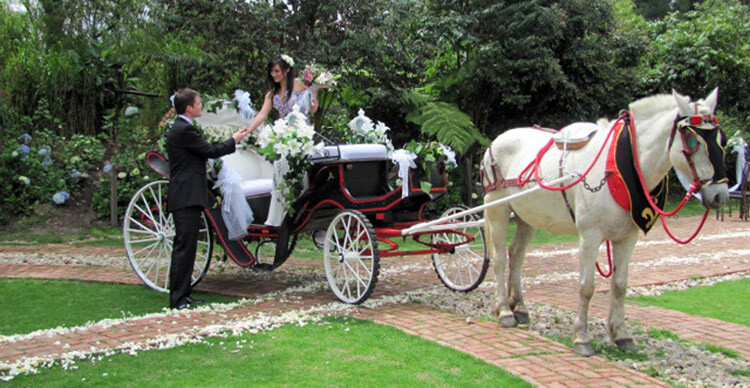 The most beautiful Victoria Carriage driver targeted by an elegant and pulled by a beautiful and noble horse, he will live a unique experience, realize that fantasy fairy tale is now possible with BogotaTravelGuide.com. 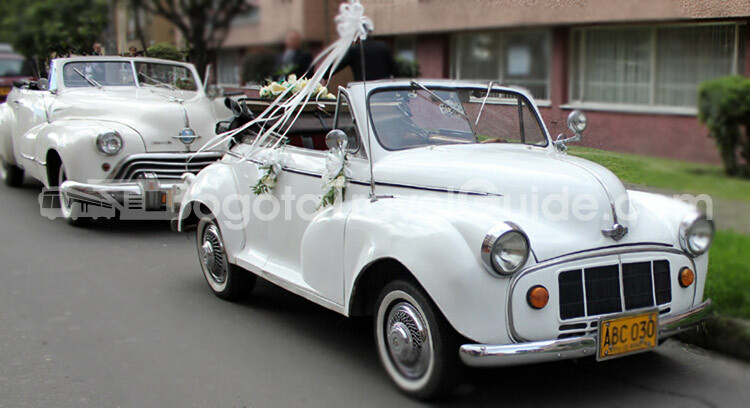 he best way to impact social event is to arrive in a classic car convertible decorated for the occasion, driven by a driver who was costumed in charge of picking the person to celebrate and carry it into the venue where everyone expected. Along the way you will make some stops in places where you can take important pictures to remember this special date, the tour will end in the reception hall and give more time for other photographs. Romantic Spa Special Plan "Romantic"
Enjoy a very special moment in the company of that person how much you want, enjoy a relaxing massage with a partner together with a welcome cocteil and an intern (cheese platter or fruit basket) in a room beautifully decorated for the occasion with petals of roses and candles, where the aromas of flowers and fruit essences are the perfect complement to enjoy an unparalleled magic moment. Liven up the romance in your relationship with a detail of love and friendship like this, an original way to express their feelings. Make that special date ... an unforgettable moment they can remember forever.